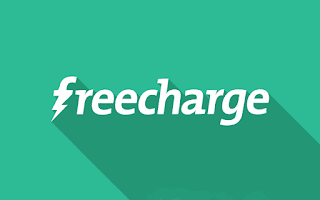 Freecharge Bigbasket Deal – Get Rs 15 Cashback on Rs 15+ Recharge or Bill Payment. Freecharge is back with an awesome deal where you will get the Flat Rs 15 Cashback on Minimum Transaction of Rs 15 or above. Valid once per User/Credit/Debit Card/Mobile Number/Device. So hurry up and avail this offer !! 5) Now Initiate a Mobile Recharge or Bill Payment of Rs 15 or above. 6) Proceed for Recharge and Apply Coupon:- Which you got !! 7) Once your promo code get applied successfully, Now Complete your Recharge. 8) Then you will get the Rs 15 Cashback in your Freecharge wallet. 1. Upto Rs 225 off on min spend of Rs …. + Also get Flat Rs.15 cashback from Freecharge on Recharge/Bill payment on minimum transaction of Rs.15 on Freecharge. 2. You will receive one Unique Promocode which has to be applied at bigbasket to avail the offer and same code can be applied on Freecharge to avail cashback offer. Deal can be bought only once. 3. Maximum discounts, ie, product discount and coupon discount, are subjected to product level cap enforced by seller. Offer is applicable on discounted products too and valid for all users. 4. This offer is not valid at any of the alliance partner retail outlets/ stores. One Coupon is valid for a single purchase only. Valid only on a selected catalogue. 6. To avail Freecharge offer, the customer needs to undertake a successful transaction on the Freecharge App, and enter the Unique promocode while performing the transaction. 7. The customer shall receive Flat Rs.15 as cashback in the form of Freecharge Gift Instrument within 72 hours from the date of the transaction, the same can be redeemed within 1095 days from the date of the credit and is non-transferable. 8. The offer is valid only once per Freecharge Account/credit card/ debit card/netbanking/device/FC balance/UPI transaction/mobile number on both Myntra & FreeCharge.